Guardian of the Farm, a collaboration brand done between Max Fernandez of Casa Fernandez and Kyle Gellis of Warped Cigars, is getting a fourth size. 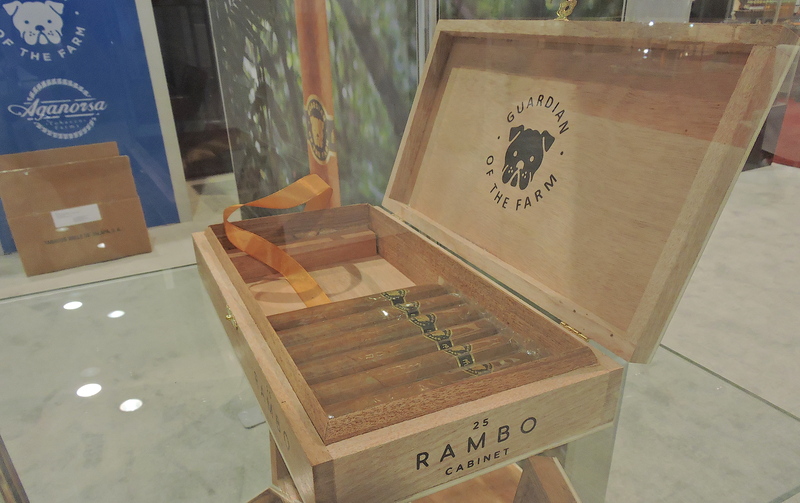 At the 2017 IPCPR Trade Show, the duo introduced the Guardian of the Farm Rambo, a 4 1/2 x 48 offering using the Guardian of the Farm blend. Fernandez and Gellis first teamed up in 2015 and launched a line called Futuro. The duo teamed up again in 2016 and launched Guardian of the Farm. The line is a tribute to the guard dogs of the Aganorsa farms in Nicaragua. The farms grow the tobacco used in blends used by both Casa Fernandez and Warped Cigars. Both companies have a close relationship in that Gellis worked with Casa Fernandez’s TABSA factory to handle production of several of his lines. The blend is a Nicaraguan puro produced out of TABSA. Distribution of the line is being handled by Casa Fernandez.